I recently bookmarked a video on YouTube- it’s a very catchy song about the GREATEST campfire food in the world- S’mores! It’s sung by Buck Howdy (Buck Howdy was recently awarded the 2010 Grammy Award for the Best Spoken Word Music Album for Children) and you can watch the video by clicking here- S’more Song Video. If you like S’mores you’ll like this song! My daughter and her friend made me a fire pit for my birthday this summer and we have tried a lot of S’more variations this summer. After a season of experimenting, I can honestly report that the best S’mores are the “Good Old Original” S’mores we’ve all been making for years- marshmallow, chocolate bar, graham crackers and a nice hot fire. Oh, and don’t forget friends and family because S’mores just aren’t any fun to eat if you are sitting by a campfire all alone. 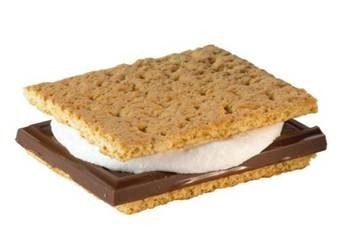 I do have just one question about S’more ingredients- where did all the marshmallow varieties come from? Have you tasted chocolate and vanilla swirl marshmallows (my son, Nic’s favorite) or the caramel and vanilla swirl cousin to chocolate swirl? 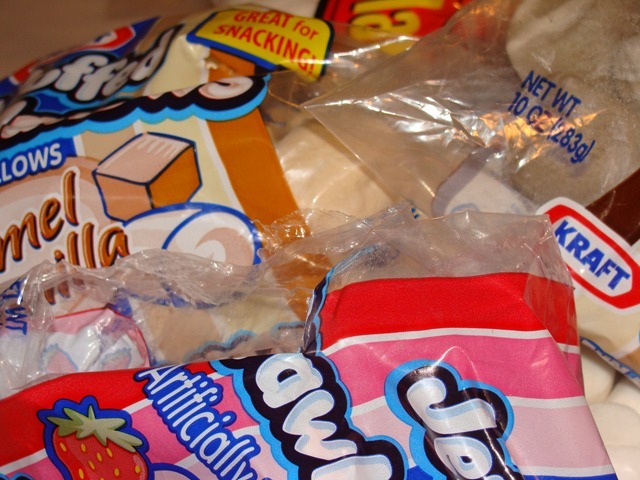 I bought a bag of strawberry flavored marshmallows last month which my daughter says are, “fine” and the toasted coconut marshmallows have became a favorite of our friends, the Andersons. Uncle Steven prefers Minty Indoor S’mores to campfire S’mores. 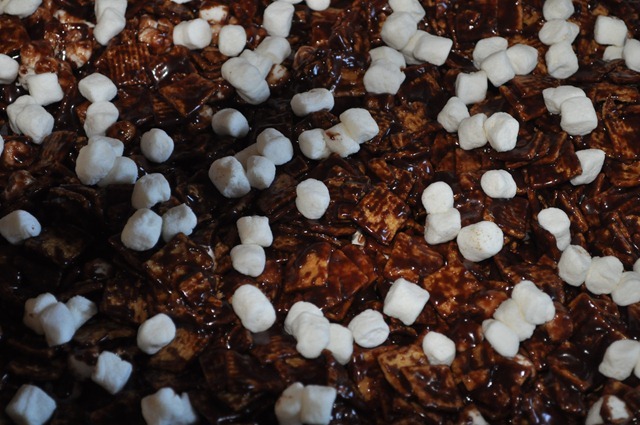 Indoor S’mores are easy to make and you don’t need to build a campfire to make them. 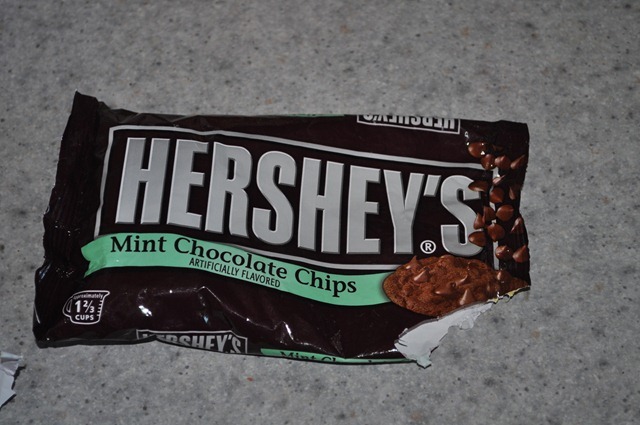 Uncle Steven likes to use mint chocolate chips when making Indoor S’mores, but if you can’t find mint chips just use regular chips (semi-sweet or milk) and add a few drops of mint extract. Place half of a milk Chocolate bar onto a graham cracker half. Carefully toast a marshmallow over a grill or campfire. After the marshmallow is toasted a nice golden brown, place it on top of the chocolate bar half. Sandwich it with a second cracker half and gently press it together. Mo’s favorite), white chocolate bar, peanut butter cups or crunch bar for the chocolate bar. We’ve also used cinnamon graham crackers and chocolate covered graham cookies. Sandwich marshmallow and chocolate between 2 graham crackers. Wrap in tinfoil. Place on top of fire and let it melt together. Roast marshmallow over the campfire on a stick. When marshmallow is done, place it between the two cookies and it’s ready to eat. 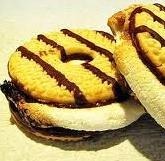 Although not my favorite S’more variation, Cookie S’mores are great when you are on a tight budget and don’t want to spend the money for chocolate bars. Assemble the S’more in this order: one graham cracker half, chocolate bar, marshmallow, and then top with the second graham cracker half. Place into a microwavable dish. Microwave for about 45 seconds, depending on your individual microwave oven. Grease 13 x 9-inch baking pan. 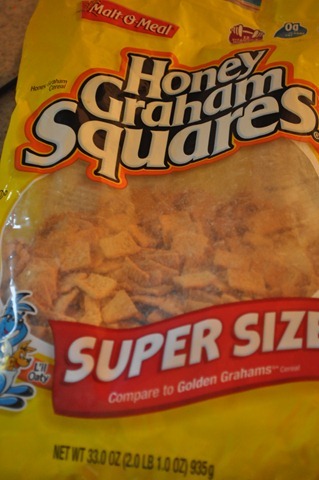 Pour cereal into large bowl. Heat 5 cups marshmallows, morsels, butter and corn syrup in medium, heavy-duty saucepan over low heat, stirring constantly until smooth. Remove from heat. Stir in vanilla extract. 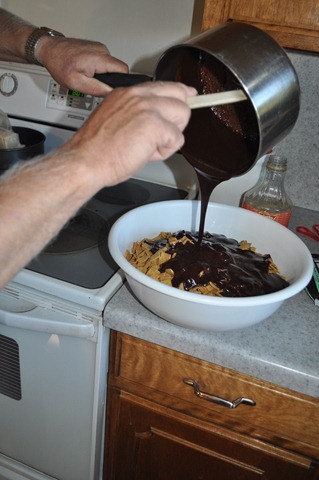 Pour marshmallow mixture over cereal; stir until well coated. Stir in remaining marshmallows. Press mixture into prepared pan. Refrigerate for 1 hour or until firm. Cut into 24 bars. Microwave Method: Microwave 5 cups marshmallows, chips, butter and corn syrup in large, microwave-safe bowl on HIGH power for 2 to 3 1/2 minutes, stirring every minute, until smooth. Stir in vanilla extract. Pour marshmallow mixture over cereal; stir until well coated. Stir in remaining marshmallows. Press mixture into prepared pan. Refrigerate for 1 hour or until firm. Cut into 24 bars. When it comes to S’mores- everyone wants s’more! This entry was posted in Music and tagged campfire, cracker, How to make S'mores, indoor S'mores, marshmallow, Microwave S'mores, S'more, S'more video, song by Aunt Mo. Bookmark the permalink.